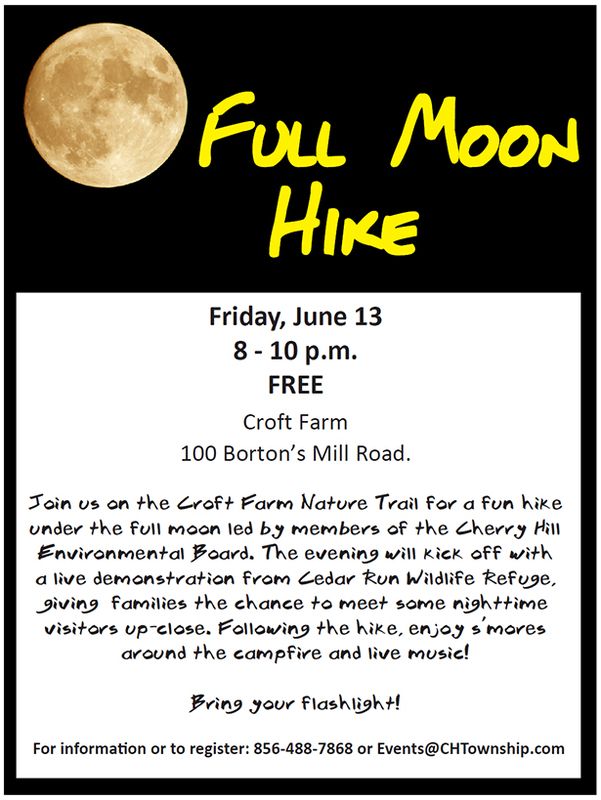 Join us on the Croft Farm Nature Trail for a fun hike under the full moon led by members of the Cherry Hill Environmental Board. The evening will kick off with a live demonstration from Cedar Run Wildlife Refuge, giving families the chance to meet some nighttime visitors up-close. Following the hike, enjoy s'mores around the campfire and live music! For more information or to register, contact the Recreation Department (820 Mercer St., Room 102) at 856-488-7868 or Events@CHTownship.com.